Andreas Bodenstein, most commonly known as Karlstadt for the town of his birth, embodied the tumultuous early years of the Reformation and the difficulty of categorizing many reformers according to theological allegiances. At first opposed to Luther’s theological opinions, Karlstadt soon came to embrace them and the Augustinian theology that influenced them, only to go well beyond what Luther had intended with vigorous practical reforms and a rejection of Protestant sacramental teachings. Despite his agreement with the Swiss and South Germans on the Eucharist and with Anabaptists on baptism, he never accepted their willingness to use force, and his social views share little in common with the Radical Reformation. While he was not influential on subsequent reformers or theological traditions, he nonetheless represented many of the early contentions that divided the Protestant movement. Born in Karlstadt in Franconia, Andreas Bodenstein von Karlstadt studied at Erfurt from 1499 to 1502, before receiving his bachelor of arts, then went on to study at Cologne until 1505. In 1505, he left for Wittenberg, where he was conferred the master of arts later that year and proceeded to teach in the arts faculty. He received his doctor of theology at Wittenberg in 1510 and was ordained as priest the same year. In 1511, he was named archdeacon of the collegiate church of All Saints in Wittenberg, which was connected to the castle of Prince Frederick the Wise and his family, and professor of theology at the university. A year later, he became dean of the theology faculty. From November 1515 to May 1516, Karlstadt pursued and was granted a doctorate in canon and civil law from the Sapienza University in Rome. In order to do so, he abdicated his responsibilities at Wittenberg without finding a suitable replacement, forcing the authorities to threaten him with the loss of his stipend should he not return. Throughout these formative years of his academic career, Karlstadt’s views were robustly Thomist, with some limited influence from Duns Scotus. He was not trained in nominalist theology, nor was he educated in Augustine or the Augustinian tradition, as Luther was. Karlstadt’s first encounter with Luther’s theology occurred in a 1516 disputation, when he served as opponent to a student defending Luther’s ideas. At the time, he dissented, but over the next year he would come to embrace many of those ideas, chiefly by immersing himself in the thought of Augustine. Over the next two years, he would lecture on Augustine’s On the Spirit and the Letter, also influential for Luther. 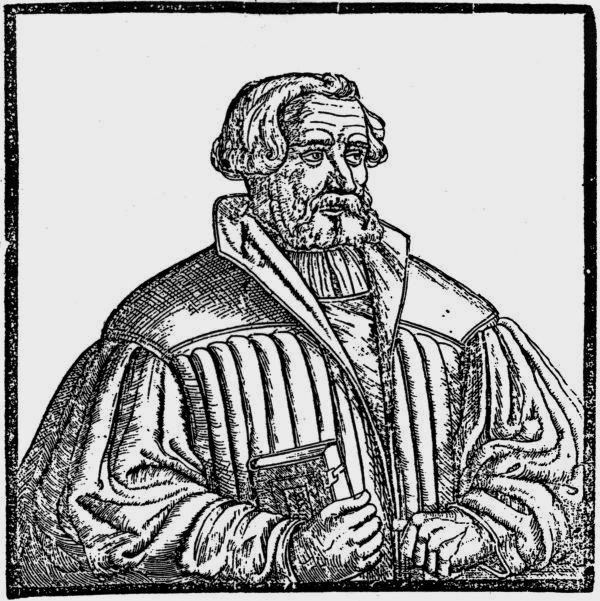 By April 1517, he had published a set of Augstinian-influenced theses supporting Luther’s early criticisms of scholastic views on grace and merit. In 1518, he drafted a set of theses on justification also drawn from Augustine. Over the course of the next year, Karlstadt began defending Luther in print. He entered into the Indulgence Controversy with a rebuttal of a treatise by John Eck, the Ingolstadt theologian who would be Luther’s combatant at the Leipzig Debate a year later. Karlstadt’s extensive list of 380 theses defending Luther against Eck precipitated the disputation at Leipzig, for which Karlstadt himself was to be opponent. After an arrangement was made to include Luther in the debate, Eck easily dispatched the less intellectually nimble and persuasive Karlstadt, leading to the fateful conflict with Luther. From that point, the careers of the two Wittenberg theologians would take entirely different trajectories. While Luther came to spearhead the reform movement associated with his name, Karlstadt found himself repeatedly at odds with Luther over reforms and later theology. Karlstadt would find increasingly less success communicating and implementing his ideas. In 1521, he went to Denmark to aid Christian II in reforming his churches, but the efforts failed and he returned to a Wittenberg without spiritual leadership due to Luther’s seclusion at the Wartburg Castle. Karlstadt attempted to the fill void, along with Gabrial Zwilling, Philipp Melanchthon, Nicolas von Amsdorf, and Justus Jonas. He urged them to implement Luther’s reforms in Wittenberg, specifically reforms of the mass, religious life and social life. On Christmas Day 1521, Karlstadt celebrated the first evangelical mass against the objections of Frederick the Wise. The next month, he chose to be one of the first Wittenberg priests to marry. He also published his reforms as A New Order for the City of Wittenberg. When Luther heard of these measures, especially the stripping of the altar and removing of the images, he quickly returned from the Wartburg and sent a stern rebuke to Karlstadt and those complicit with him, urging reformers to proceed more slowly and not to burden the consciences of the faithful with new laws. Finding himself out of favor with both Luther and Frederick the Wise, Karlstadt increasingly withdrew from the leadership of the university and town religious life. He put away his academic dress, bought a farm near Wörlitz, and worked among the peasants. He also stopped discharging his responsibilities at the university, leading to greater conflict and ultimately a censure on his views by the authorities. In June 1523, Karlstadt would leave Wittenberg and take over pastoral duties at a small rural church in Orlamünde, in Thuringia, which happened to still be within the same Saxon archdiocese. In the more remote village, he was able to bring about the reforms he had proposed at Wittenberg, including a simplified order of worship, the removal of images, and even the proscription of clerical titles. He continued to write prolifically, however, and between the years of 1519 and 1525 published 47 pamphlets in 125 editions. Many of these were directed at Luther and provoked further disagreement with him, leading to a tense conflict between the two in Jena. Due to his opposition to Luther and suspicions that he was in league with the political insurrection of Thomas Müntzer, Karlstadt was expelled from Saxony by Duke John in September 1524. Karlstadt’s expulsion from Wittenberg preceded him being run out of other regions repeatedly over the next year until Luther appealed to Duke John to permit his return on the condition that he not attempt to spread his views. Between 1525 and 1529, Karlstadt stayed with a Wittenberg family and worked as a farmer and merchant, but undertook no pastoral or academic tasks. Presumably growing restless with this inactivity and marginalization, he fled Saxony in 1529 to aid the radical Melchior Hoffman in debates over the Eucharist with other northern German evangelical theologians, then later that year curried the favor of Luther’s prime Protestant opponent, the Swiss theologian Ulrich Zwingli. Through Zwingli’s influence, Karlstatdt earned a position as vicar of Alstatt in Zurich, where would serve as pastor until 1534. Then, well after Zwingli’s death, Karlstadt resumed academic duties for the first time since 1523. He began teaching at Basel as chair of Old Testament, while also serving as parish priest of St. Peter’s in Zurich. He would remain there until his death from the plague in December 24, 1541.